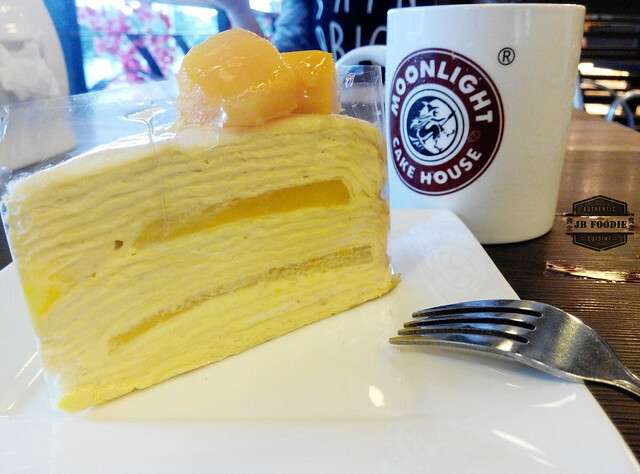 I've been to Moonlight Cake House on numerous occasions before, either for lunch, tea-break, dinner or just simply getting a birthday cake. 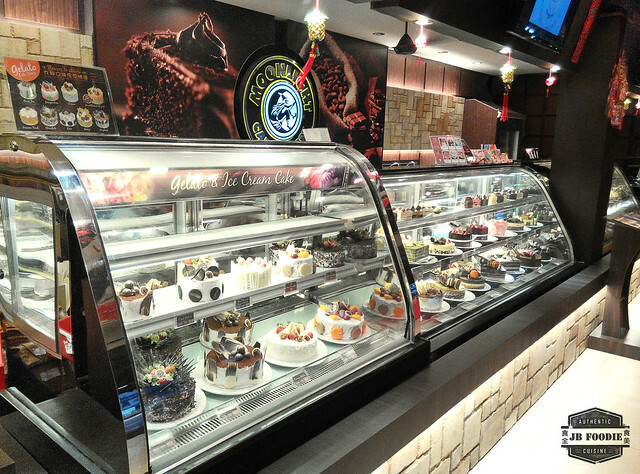 On top of the numerous cakes stacked on display which one can buy off the shelf, they do take orders for customised cake as well. 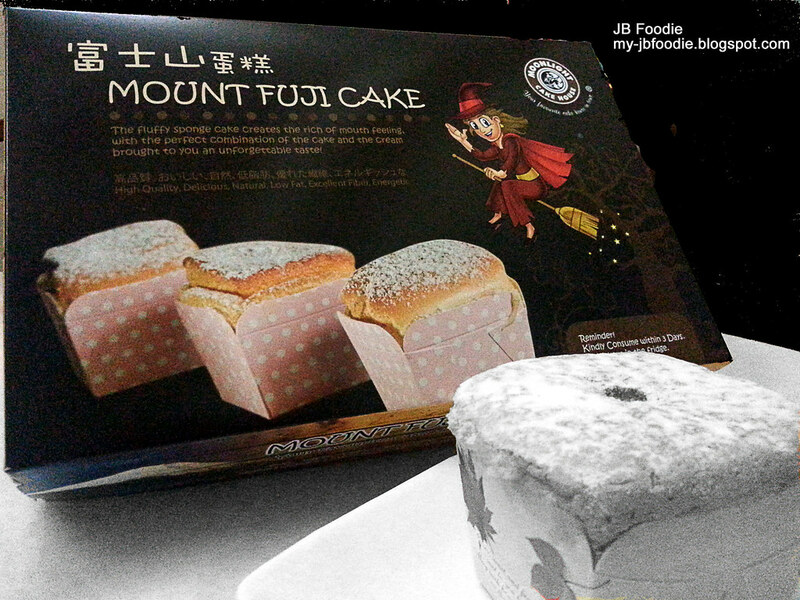 However, the cake is not the main story today, but more of their food. This is their latest outlet at Taman Austin which I went to today for dinner. 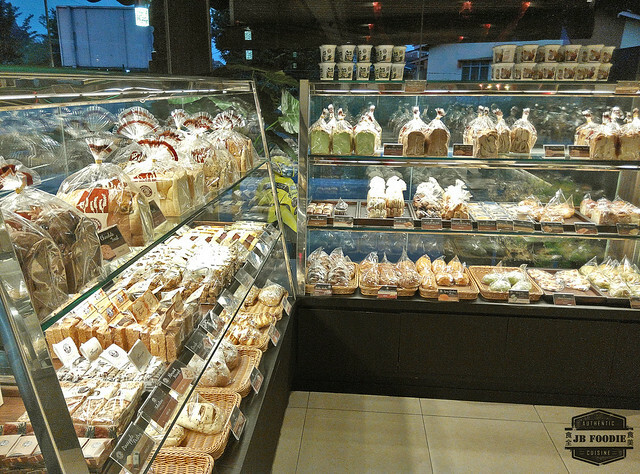 Varieties of freshly baked breads are available for sale. Cakes for that special someone, on a joyous occasion. Comes with a selection of either whole or slices. 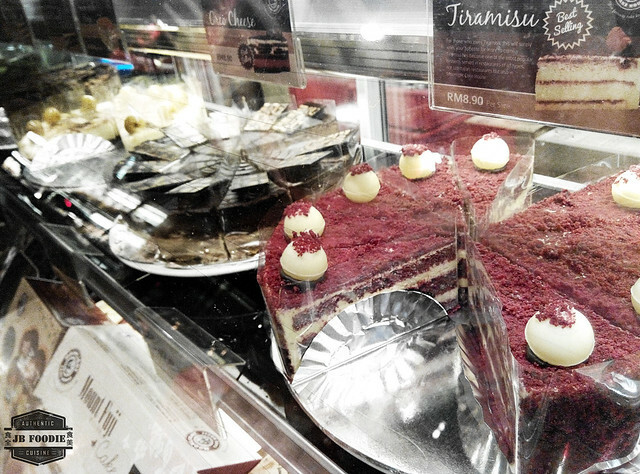 With so many selections to choose from, ranging from Tiramisu to the conventional Black Forest. 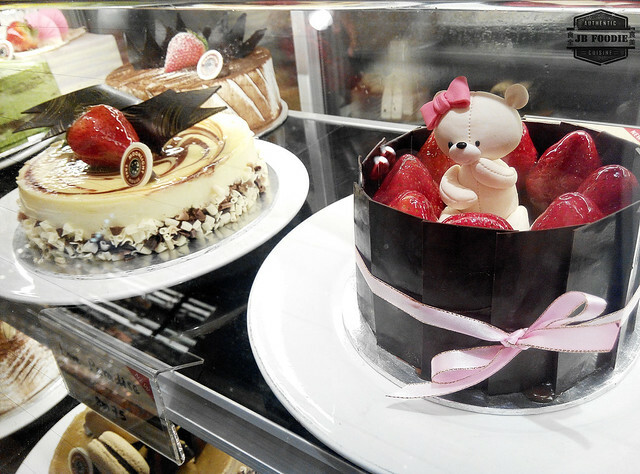 Or cheese cake ... my gosh that bear is so cute ! I'm sure this is the perfect cake to get for your girlfriend or wifey on their birthday ! 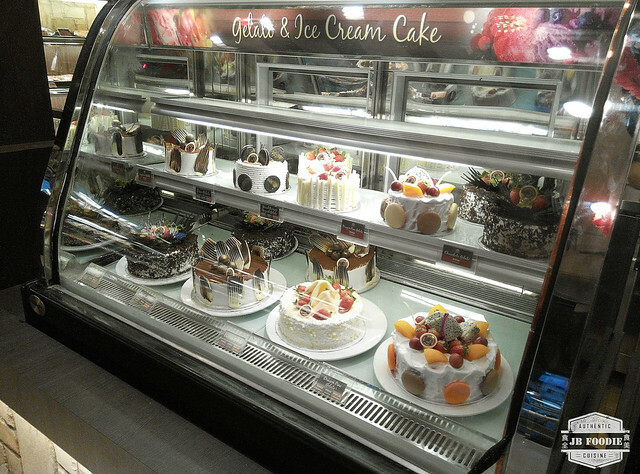 Now there's even ice cream cake to choose from ! 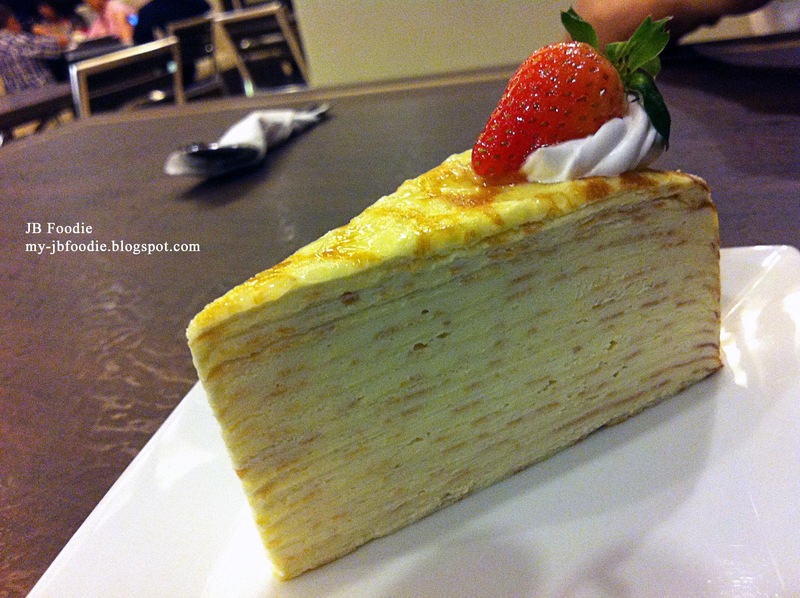 The mille crepe cake .... oh how I missed it ! Haven't tasted it for quite a bit of time and today I stuck with the original flavour, instead of the other offering available, Oreo Cheese Mille Crepe. Not exactly an inexpensive slice @ RM8.80, but its well worth the $$. Mango milli crepe cake for my recent dinner at Moonlight Cake House. 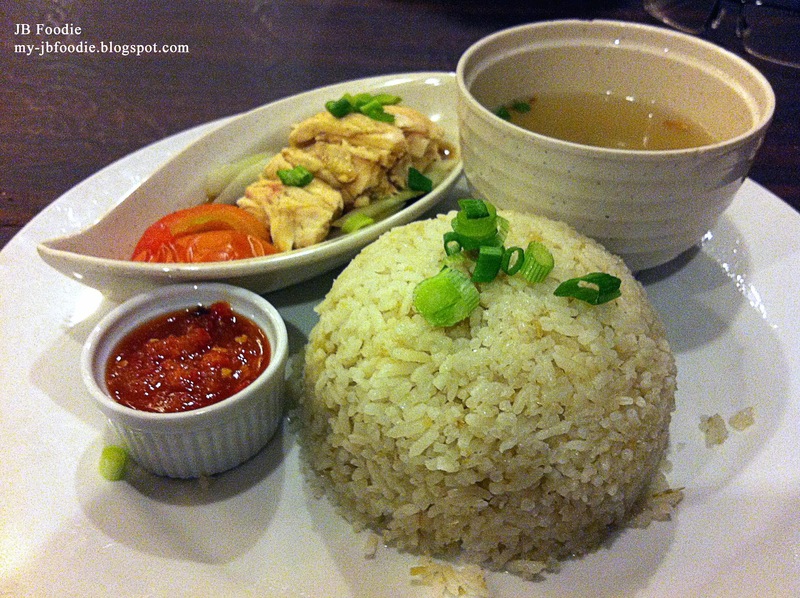 Hainanese Chicken Rice set is a slight disappointment, mainly due to its portion. Besides presenting me with the chicken breast, portion is extremely pitiful too ! Saving its fall from grace though, is the chilli sauce, which I might dare proclaim one of the best I've ever tried. If only they have brought up some chicken thighs or wings as standard, and that could have made this a truly wholesome meal. RM6.90. Curry chicken rice isn't all too bad. At RM7.90 a set, its money well spent. 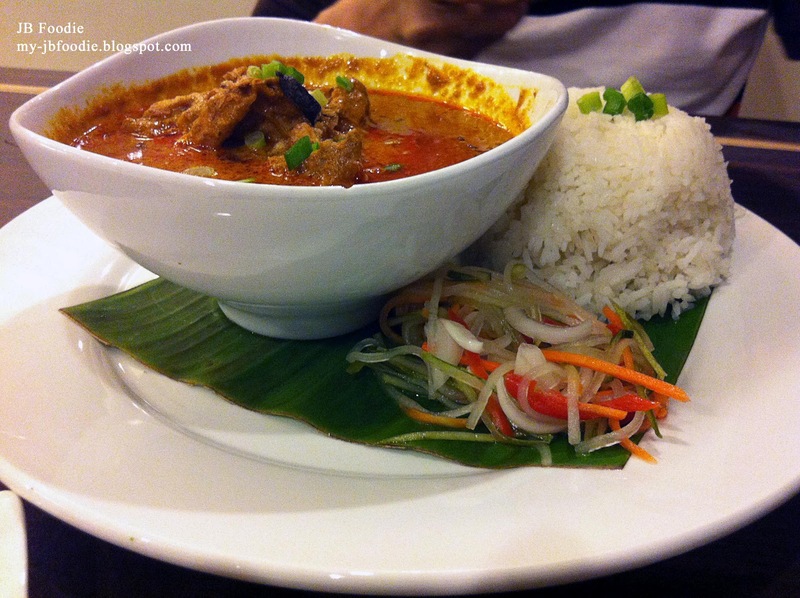 Rich and spicy curry all the more makes this dish so "shiok" ! I like that their sausages are slightly peppery and the spaghetti is done al dente. Taste wise everything is average without the garlic being overwhelmingly strong. 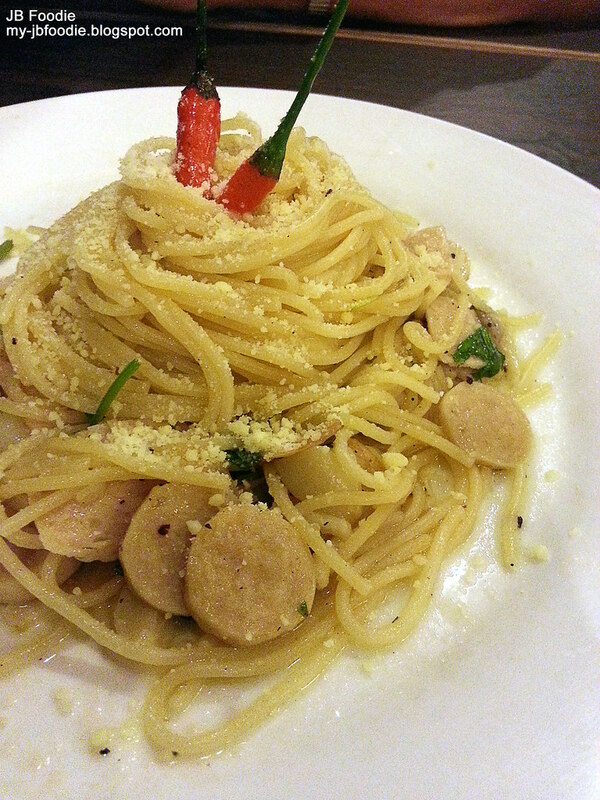 For the thrill seekers, you can have a go with the 2 chilli padis atop the pasta ;) Ham & Sausage Aglio Olio. 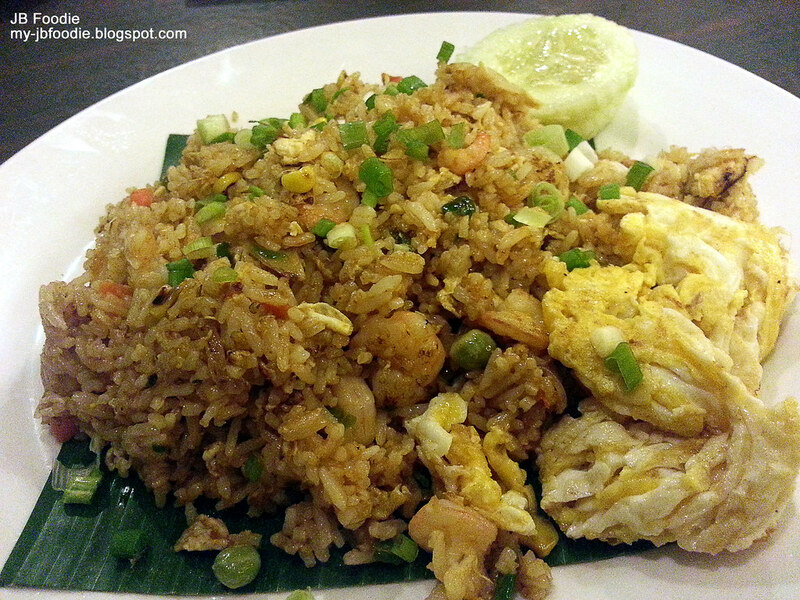 Prawn fried rice with garlic. I personally feel the item was done half-heartedly, the omelette wasn't a sight to behold and rice were unevenly flavoured. Give this a miss, it's just not worth the effort (and money). 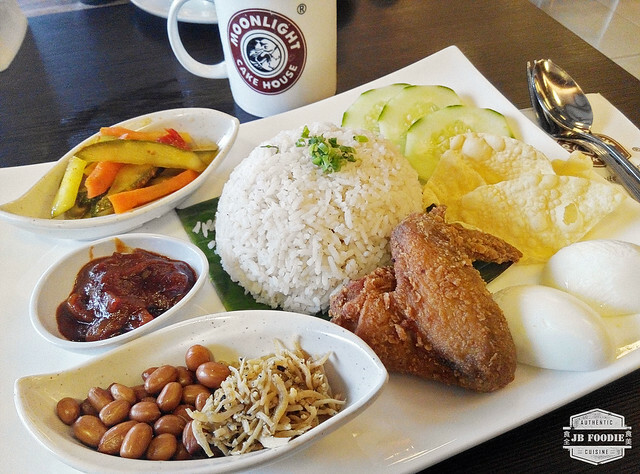 Everybody's all-time favourite food, including yours truly - Nasi lemak. Sambal was great, and so was the fried chicken wing (a pity it was just a wee bit small). Nothing else truly matters anymore. I'm not sure how many have come across this elsewhere (different brands of course), and they are not going for the cheap at Moonlight or elsewhere. RM15.00 for 6 pieces is a rip-off, but nonetheless I still bought a box to have a go at it. First impression - Good stuff (but not great), and could rate better if the sponge cake sitting atop the cream were fluffier. The only drawback is the price, which is sort of hard to justify. Conclusion: Service is all prompt and good, together with its wide selections of patries, cakes, food and drinks to choose from, this is surely a place to cater to all your meals from dusk till dawn.